A personal look at the secrets of success of two multi-generational businesses. For more than 50 years, G&S Technologies has helped utilities, businesses, and industry safely remove and recycle obsolete transformers and other oil-filled electrical equipment. The need for both a domestic and global solution of collaboration and reform has never been greater. What’s the criteria when choosing between a timed online auction and an on-site auction? The 2017-2018 Investment Recovery Service Directory is here! Welcome to the most comprehensive list of our Associate Members—providing best-in-class products and services specific to the Investment Recovery industry. View and download here. Doing business in a way that’s good for People, the Planet, and Profits—and as surplus management professionals, we’re in the middle. With iPhone sales climbing to 155 million units last fiscal year, grinding up Apple products is a growth business. 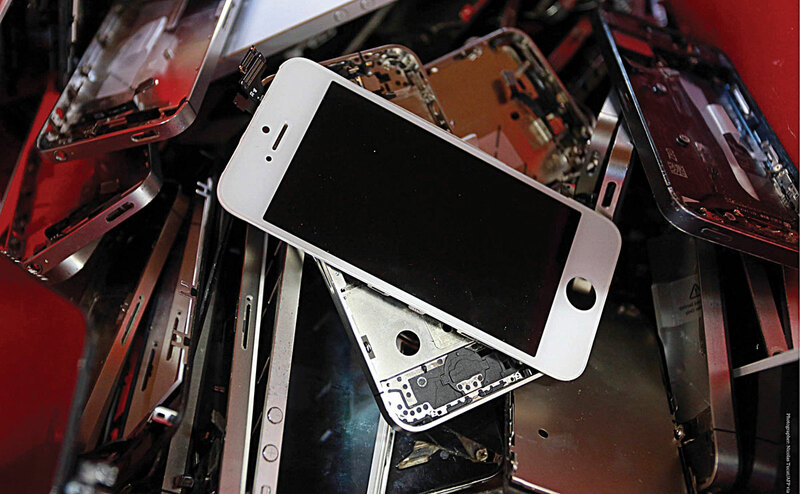 At a dedicated factory with 24-hour security in an undisclosed location in Hong Kong, iPhones are being carefully and meticulously destroyed.